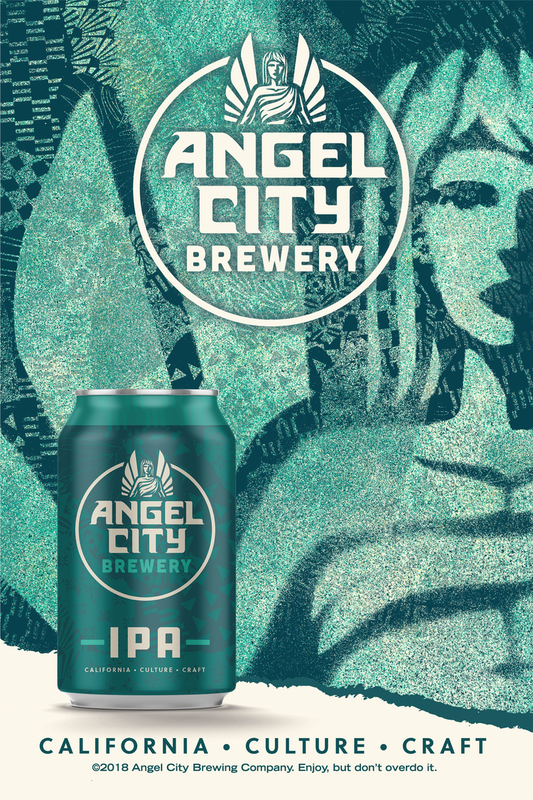 Angel City Brewery and Studio Number One (SNO) first met in May 2018 to prepare a vision for the brewery and its brand. SNO concepted and presented multiple design iterations before landing on a new final logo - a powerful depiction of the iconic Angel City angel, as seen on tap handles throughout Southern California. New branding was also developed to encapsulate the brewery’s creative spirit while paying homage to its unique Arts District neighborhood. The new logo and brand refresh has now been applied to rebranded cans, festival setups, website, POS, and general packaging. The first beers that will be making their debut in this new look include Sunbather, the brewery’s flagship IPA, as well as Double IPA and Pilsner. 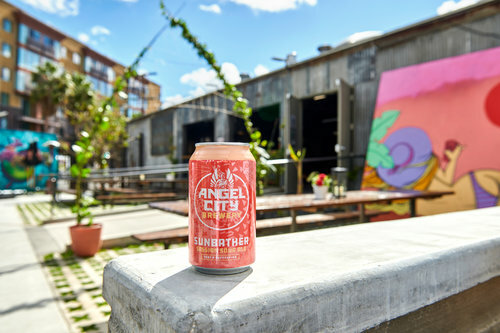 A natural partnership between Angel City Brewery and Studio Number One emerged based on shared support for likeminded non-profit organizations and social causes, as well as a deep appreciation for local artists and community-based projects. To mark the release of the new look, Angel City Brewery hosted a celebratory event with Studio Number One called Crafted in LA, an art exhibition showcasing the creative and evolutionary journey behind the final logo and branding designed for the brewery as well as pieces from Studio Number One’s collection of activism, social justice, environmental, and community-focused art that was created for the Women’s March, Non-Toxic Revolution, Surfrider LA, the Echo Park Chamber of Commerce, LA Promise Fund, Make America Smart Again, and much more. Dewars approached Studio Number One seeking an updated visual language to reach a modern class of young “urban independent” adult consumers. The result was part vintage, part contemporary, with a twist of wit. Tommy Dewar’s “Dewarisms” provided the perfect blend of messaging: original, authentic, clever, timeless. Consistency was key. 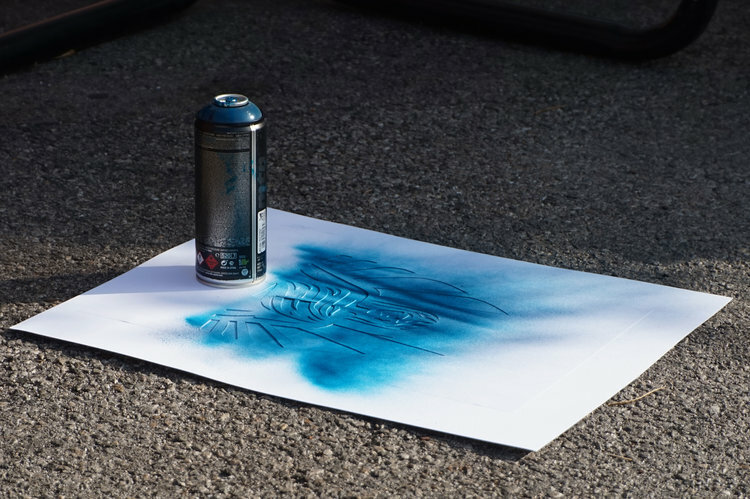 The visual language would be the glue that held together Dewar’s full-spectrum media campaign, which included print, TV, point-of-sale, out-of-home and event activation materials. Authenticity rules. For Dewar’s, every last detail had to look and feel true to the “neo-vintage” aesthetic. The TV spots were even shot in a real theater using antique props and costumes. How do you make the Roaring ‘20s come to life in the 21st century? Rather than using modern billboards for the OOH campaign, hand-painted wallscapes were created to capture the charm and texture of street advertising in the olden days. When Dewar’s brought the good times to the Coachella and South by Southwest music festivals, Studio Number One created posters and drink menus, as well as multifunctional flats designed to look like vinyl record sleeves. Dewar’s drinkers don’t need an excuse to raise their glasses but Studio Number One gave them one. A national holiday, Repeal Day, was created to celebrate the anniversary of the repeal of Prohibition and celebrate it with advertorial news announcements and festivities around the country. Studio Number One was approached to create the packaging for Barrymore Wines. The monogram design was inspired by the Barrymore family crest and gives the product an overall modern-vintage feel.